Proper maintenance of your sump pump system ensures a waterproofing system that's ready for peak performance when water is building around the foundation. 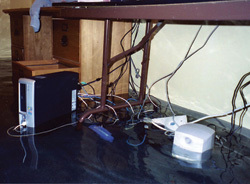 As is the case with all mechanical things, a sump pump has moving parts that will eventually break down. Having a service specialist check an interior perimeter drainage system and sump pump can be done in one easy, inexpensive annual visit. 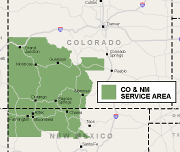 Call or contact us today to have your system serviced- we serve throughout Colorado & New Mexico, including Grand Junction, Durango, Farmington NM. All debris, mud, and sediment that has made its way into the sump pump liner is cleaned out, and your battery backup sump pump is tested for proper charge and voltage. The sump pump alarm's battery is checked, and a flood test is conducted on the whole system to make sure it's running properly. For a free sump pump estimate and professional inspection in your home, call or contact Silver River Basement Systems online today! Each estimate comes with a FREE, full-color 88-page book, and all estimates come with no obligation to the homeowner.